Fans of Doris Kearns Goodwin’s Team of Rivals will appreciate how Wineapple’s narrative carries forward the saga of the men Lincoln so relied on during the Civil War. The Impeachers is a historical barnburner of a book—a vivid cast of characters caught in a terrifying—and eerily familiar—moment in our nation’s history. This is history of the best kind—passionate, evocative, razor-sharp, and relevant. 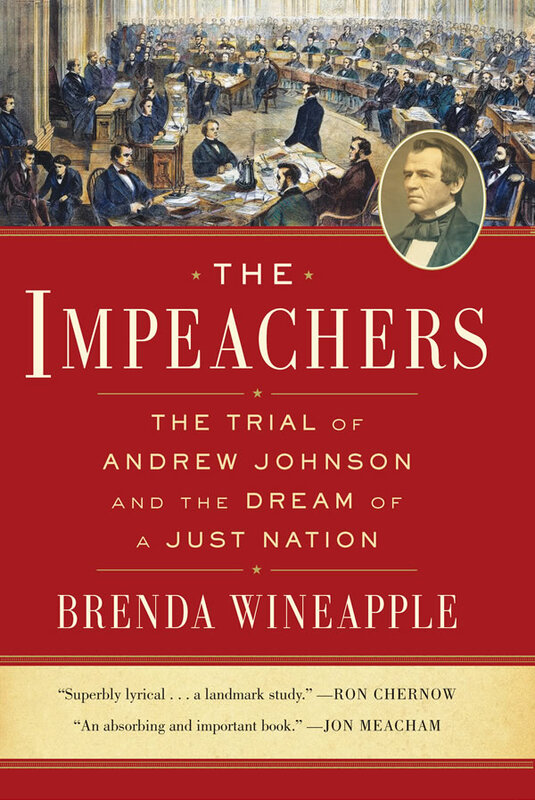 “In this superbly lyrical work, Brenda Wineapple has plugged a glaring hole in our historical memory through her vivid and sweeping portrayal of President Andrew Johnson’s 1868 impeachment. She serves up, not simply food for thought, but a veritable feast of observations on that most trying decision for a democracy: whether to oust a sitting president. Teeming with fiery passions and unforgettable characters, The Impeachers will be devoured by contemporary readers seeking enlightenment on this issue. — Sean Wilentz, George Henry Davis 1886 Professor of American History, Princeton Univ.